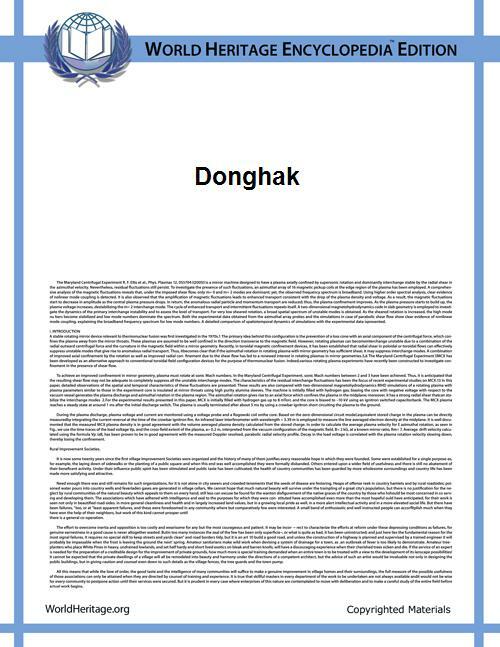 Donghak (lit. Eastern Learning) was an academic movement in Korean Neo-Confucianism founded in 1860 by Choe Je-u. The Donghak movement arose as a reaction to seohak (西學, "Western learning"), and called for a return to the "Way of Heaven". While Donghak originated as a reform movement and revival of Confucian teachings, it gradually evolved into a religion known today as Cheondoism in Korea under the third patriarch. The late Joseon Dynasty, which patronized Neo-Confucianism as the state ideology, saw an increasing polarization between orthodox Confucian scholars and efforts by other Confucian scholars to revive social ethics and reform society. The increasing presence and pressure from the West created a greater sense of urgency among reformers, and thus Choe Je-u first penned his treatise, Comprehensive Book of Eastern Learning, or Dongkyeong Daejon (동경대전, 東經大全). This treatise marked the first use of the term "Eastern Learning" and called for a rejection of God (in the Christian sense), and other aspects of Christian theology. In 1898, following the execution of Donghak Peasant Revolution. ^ a b c Yao, Xinzhong (2000). An Introduction to Confucianism. Cambridge University Press. pp. 121–122.